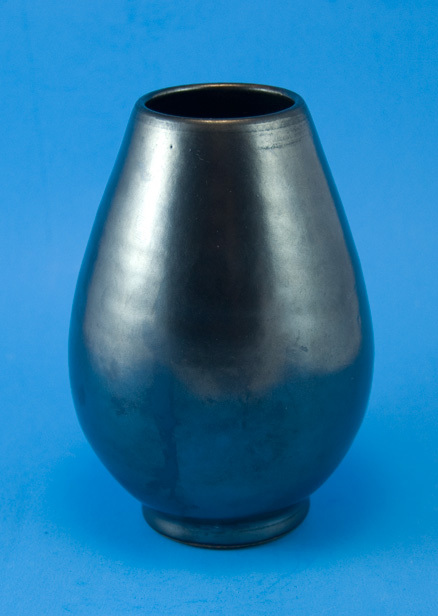 This vase was made by Gotha Keramik, and I believe the gunmetal glaze was designed by Wilhelm Diebener before the war. 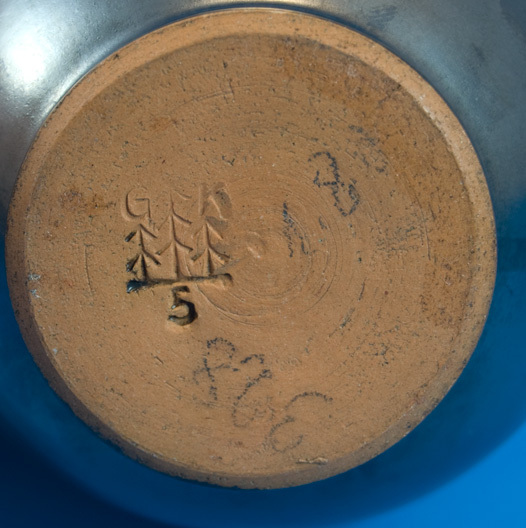 However, the GK was added to the mark in 1948, so this particular vase was probably made shortly after the war. 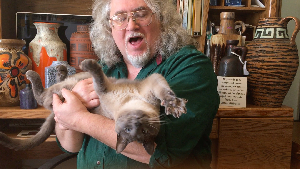 The vase is hand thrown. Price: $45 plus shipping and insurance..